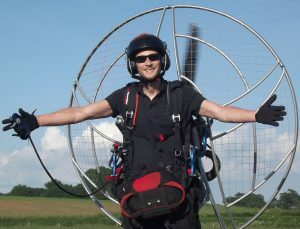 Due to their design, paramotors don't leave much space for instrumentation. Trike pilots may have better mounting options, but there's actually some great choices for foot launch pilots, and even paragliding pilots. Let's check out 7 awesome instruments that will improve your flight experience, but won't cause too much of a distraction. 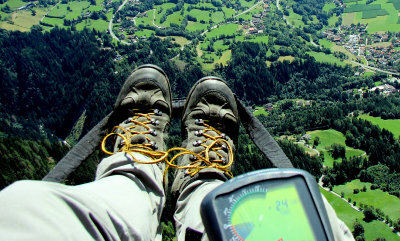 An altimeter should be at the top of every paramotorists wish list. They're essential if you're flying near to airspace or restrictions, or if you have to follow minimum height laws, like the UK's 500 foot rule. Many pilots will use phone apps, but I find these very inaccurate. A wrist or riser mounted altimeter is a much better option. This way you can quickly glance over to check your altitude, rather than looking down at your phone for long periods. Plus an altimeter that works from barometric pressure is far more accurate. There's quite a few choices out there. I've already tested and reviewed the micro alti, which is a great little instrument for any type of flying, and you can see that HERE. 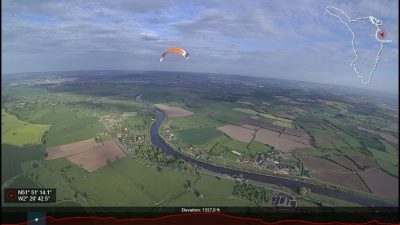 Other great options include the Garmin Foretrex 401 (link to Amazon), which also has many other great tools for paramotoring. This includes GPS positioning, sunrise and sunset times, and an electronic compass. Or you could use an altimeter watch to replace your regular watch. I mentioned in my micro alti review that my friend uses a Casio Pathfinder for paramotoring, and it's super accurate. Before we look at the next paramotor instrument, you'll need something to mount it on. A flight deck like the GIN classic pictured above, clips to your harness allowing you to easily mount your instruments onto a tacky velcro pad. It also includes a storage compartment to carry other essentials, and a map holder. These are great for cross country pilots, paramotor campers, or anybody that needs extra storage space. There's loads to choose from, but the GIN is certainly a popular and well rated choice. A GPS is a really useful instrument for flying log distances in areas you've never flown. It's surprisingly easy to get lost in places that have miles upon miles of similar looking landscape, it's happened to me before! I recommend a GPS that's been designed with aviation in mind. 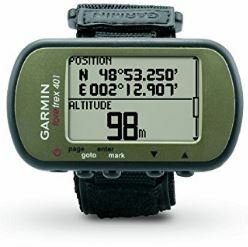 A unit like the Garmin aera 796 (link to Amazon) pictured above, has the familiar GPS moving map view, along with airspace charts, virtual 3D terrain view, automatic flight log, and lots more. You can also load up your own documents, which could include things like flight plans, reminders, checklists, etc. Of course, you could always use a simple sat nav type GPS, but you'll never get the useful tools that these aviation units provide. With a unit like the Garmin, you can attach it to your flight deck and have everything you need at the touch of a button. A useful instrument for all pilots, not just those who enjoy switching off their engine and thermalling as you may think. A vario will also attach to your flight deck to give you a host of useful paramotoring tools. A vario detects areas of lift and sink, and will aid you while you're seeking out thermals, while minimising your rate of descent. 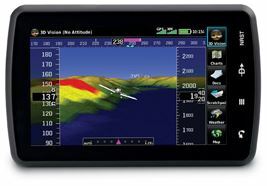 Some high spec varios come combined with an altimeter, compass, GPS, airspace maps, and more. One excellent example is the Naviter Hyper pictured above. The Naviter Hyper has a cool feature called airspace and warnings. This lets you check your position relative to the nearest airspace restrictions via a map. As you get close to the airspace, the unit will show a pop-up to warn you, and also sound an alarm, just in case you failed to notice it. Seeing how much fuel you have left in your tank is impossible on most paramotors. You could work out your fuel burn rate and keep an eye on your flight time, or use a telescopic fuel check mirror. If you do a lot of cross country flying, a fuel gauge may be a better option. To fit a fuel gauge you will need to drill into your tank, and the electronic display will be fitted to your hand throttle. There's not many options, but a popular choice is the Tiggy fuel gauge that can be found online. The gauge will tell you how much fuel you have in your tank, your burn rate, and your remaining flight time. If you don't fancy carrying lots of extra equipment, you may like an action cam with G-metrix data. This technology has been developed by Garmin, and it uses sensors that are built into the action cam to show an onscreen display of your chosen data. I've been using one of these for paramotoring and I love it! You can choose from a huge list of things to display, and lots of these are perfect for aviation. These include speed, altitude, GPS location, G-force, track shape and position, distance travelled, and heaps more. You will need a Garmin Virb action cam, and the camera will automatically record all of the data as you fly. When you export the video when you get home, you will be able to add your chosen data to the screen, to give your friends a unique viewing experience. Check out the action cam and see the current price on Amazon here > Garmin Virb Ultra 30 HD. Pilots who like navigating the old fashioned way with a map will need a compass. There's plenty of options available, and we've already mentioned a few instruments that have a compass feature. You could also use a magnetic compass, a basic digital compass, or you can even download a smartphone compass app which will be accurate enough. If you do decide to use an app, be sure to get yourself a lanyard, as holding your phone while flying is pretty risky. Another option is to stick some velcro to the back of your phone case, and attach it to a flight deck just like a vario. 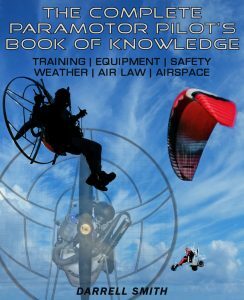 If you do all of your paramotoring locally, you may find it a pain to carry instruments. If this sounds like you, the only instrument you'll really need is an altimeter, or a vario if you enjoy thermalling. But when you're flying long distances, these instruments will really prove themselves invaluable. You've taken a look at the top 7 choices, so now all you need to do is choose which one is for you. Have fun! If you like the sound of flying long distances, check out my cross country guide HERE. Or check out some more gear HERE. I’ve been looking at the Garmin Aera – not sure if the 796 is worth the upgrade to the 660. With Kobo’s, flymasters etc – is the garmin worth it?